John Anthony “Tony” Floyd, J.D., was selected by the board of trustees as the new president of Mars Hill University, effective June 1, 2018, succeeding Dan G. Lunsford, who retired at the end of the 2017-18 academic year. Floyd came to Mars Hill from Coker College in Hartsville, South Carolina, where he was executive vice president, coordinator of the political science major, and coordinator of the pre-law specialization. Floyd acknowledged the university’s commitment to the liberal arts, to its Christian heritage, and to offering to students a scholarly faculty from which to learn. “I can’t wait to get here and work with you to turn out these young people, citizens of the world — citizens who can be responsible and be a solution to what our world faces,” he said. Floyd earned his bachelor of science degree in business management from the University of South Carolina, and his juris doctor from Campbell University. 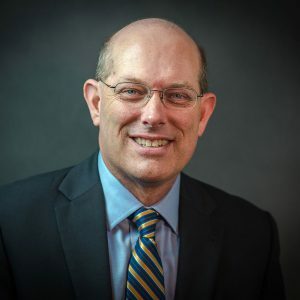 Following a 23-year career in private law practice, he joined Coker College in 2012 as vice president of administration and legal counsel, and was named executive vice president in 2015. The American Council on Education (ACE) named Floyd an ACE Fellow for 2014-15. The ACE Fellows Program provides an immersive leadership training experience to senior leaders to help prepare them for the challenges facing higher education. Floyd is married to Terry; they have two daughters, Olivia and Sarah. Scaling New Heights: Thanks for making a difference! Mars Hill University, a liberal arts university rooted in the Christian faith, is a diverse community, welcoming students, faculty, and staff from across the nation and the world. We recognize our diversity as a strength, and will continue to offer unwavering support for all members of our community regardless of faith tradition, nation of origin, or immigration status.